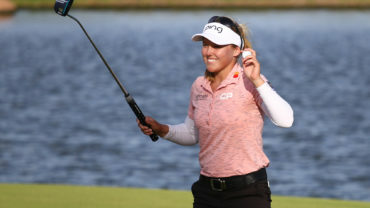 MELBOURNE, Australia – Norway’s Suzann Pettersen birdied her last three holes in a 6-under 66 on Thursday to lead the women’s Australian Open by a shot after the first round at the Victoria Golf Club. 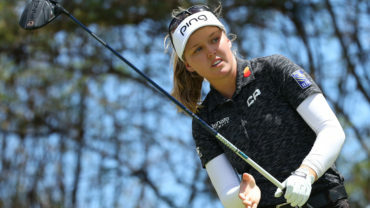 The second-ranked Norwegian made her season debut after missing the LPGA Tour’s opening event last month in the Bahamas because of a shoulder injury. She’s in position to take the No. 1 spot in the world from Inbee Park with a victory or a solo second-place finish. “In the first round of the year you’re always anxious to get started,” Pettersen said. “It took me a while to get really comfortable, to trust what I’ve been working on. Ricordeau, who had eight birdies, a bogey and a double bogey, briefly drew level with Pettersen before finishing among a group of four players with rounds of 67. 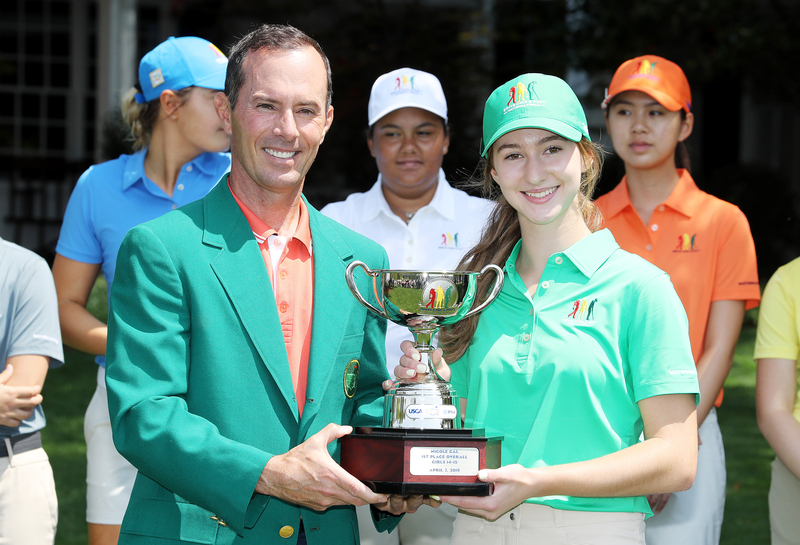 Tied in second place were Park Hee-young of South Korea and Americans Jaclyn Sweeney and Jessica Korda, daughter of former tennis star Petr Korda and already a tournament winner this year. World No. 4 Lydia Ko of New Zealand was among a larger group at 4-under after a mixed opening round. The 16-year-old was one-under after her opening nine but came home with five birdies and two bogeys, including birdies at her last two holes. Australia’s Karrie Webb, a record four-time winner of the event, opened with a 71. The Hall of Famer had another brush with rules officials after being disqualified last week at Royal Pines for signing an incorrect scorecard after the second round. 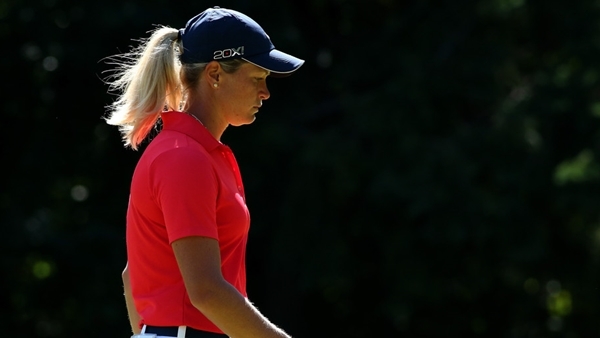 Webb started her round on the 10th tee Thursday and was told she had teed up fractionally in front of the tee marker. She was allowed to replace her ball without incurring a two-shot penalty. Lorie Kane of Charlottetown shot 71 and is tied for 42nd at 1-under. Jennifer Kirby of Paris, Ont. (72), Sue Kim of Langley, B.C. (72), Rebecca Lee-Bentham of Toronto (73), Alena Sharp of Hamilton (74) and Maude-Aimee Leblanc of Sherbrooke, Que. (79) are the other Canadians in the field.